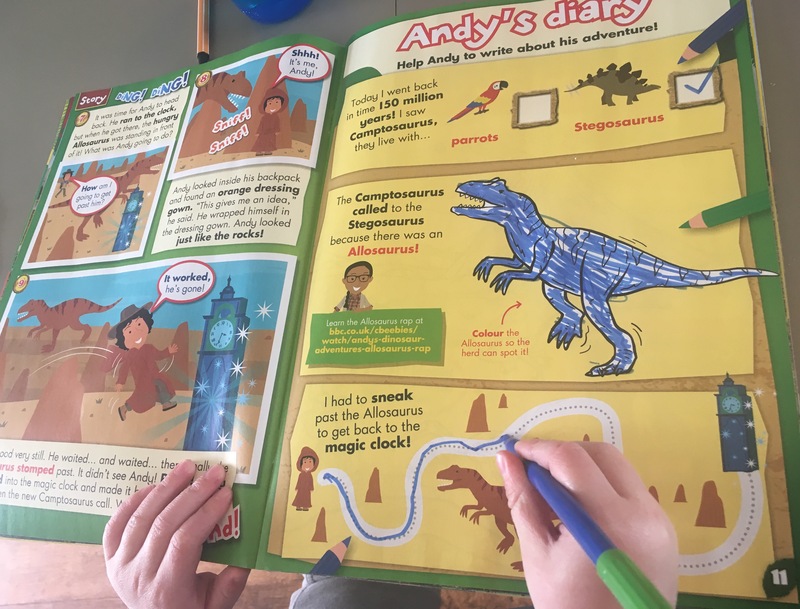 We were very kindly sent a copy of Andy’s Amazing Adventures Magazine to review this week as part of our Dinosaur Week on The SEN Resources Blog. 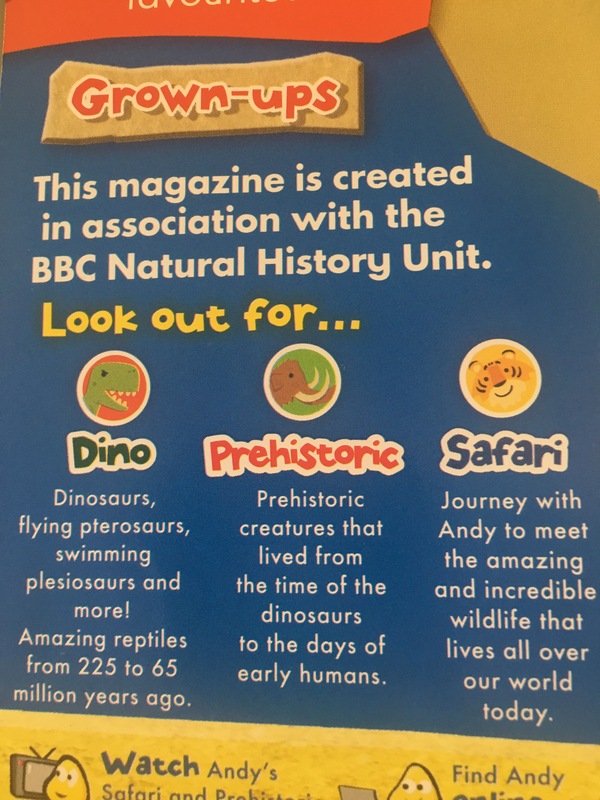 Based on the popular children’s TV programme, the magazine teaches children about dinosaurs whilst encouraging them to practise important Early Years skills such as mark making, colouring, cutting, reading, writing and comprehension . 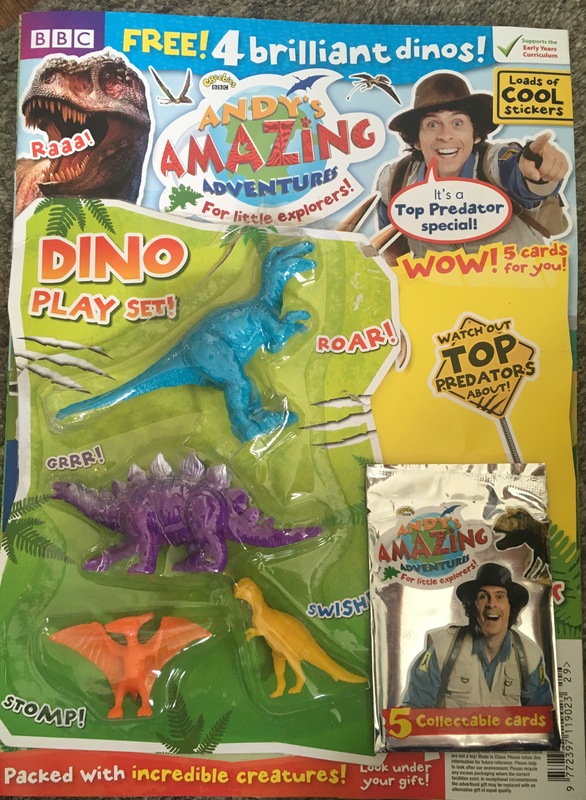 It also comes with exciting dinosaur themed toys! 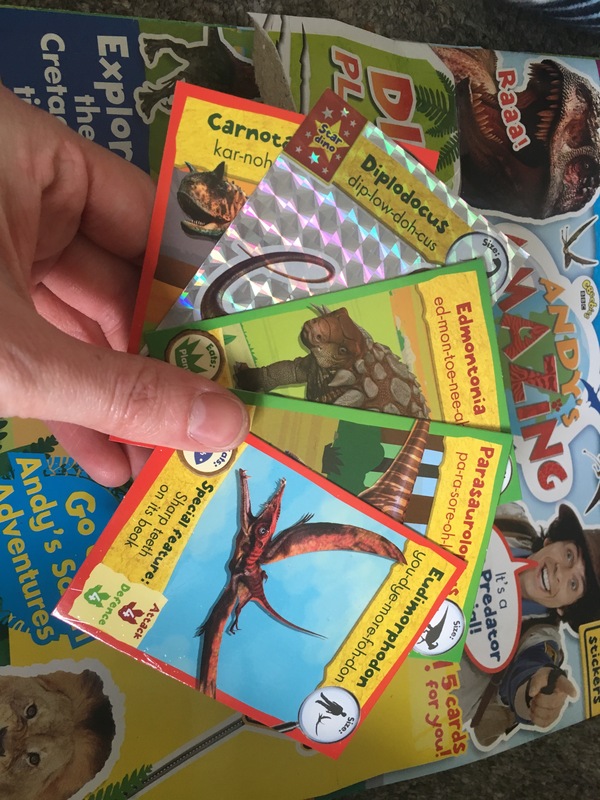 This month’s toys were a fantastic collection of plastic dinosaurs as well as some Dinosaur collectable cards. What did we like about the magazine? Mark Making Opportunities: Anything that provides opportunities for children to practise their mark making, pre writing and fine motor skills has my vote, and this magazine has lots of fun opportunities to get children putting pen to paper. 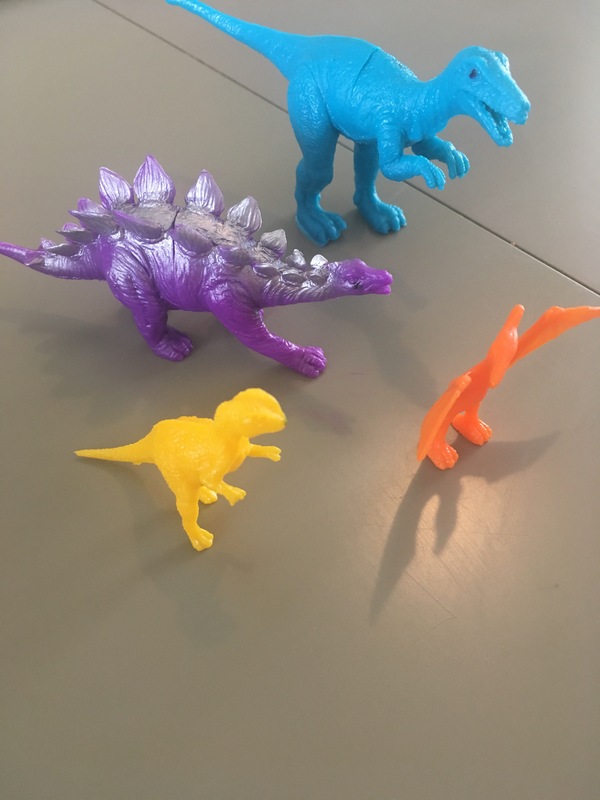 Exciting Stories: We love the stories, this month’s featured a Camptosaurus and some Stegosauruses! 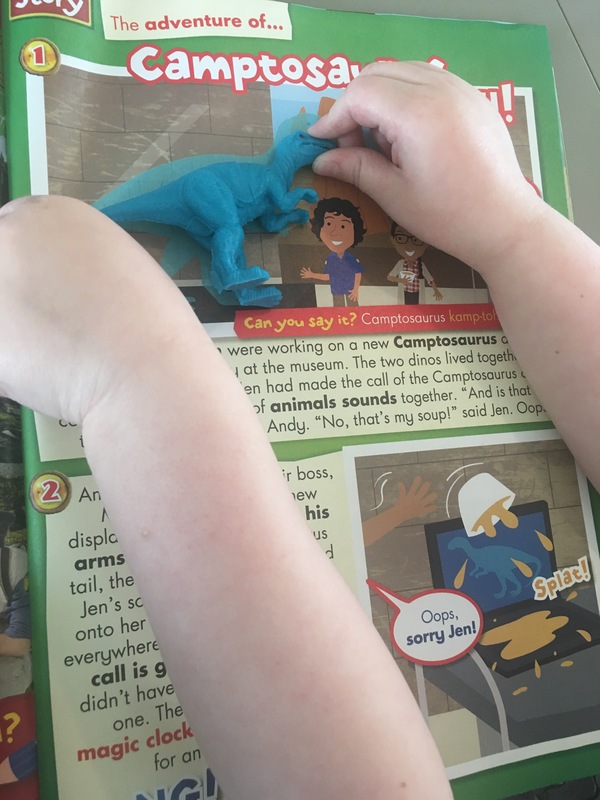 Their stories also include quick comprehension questions, great for checking children’s understanding and having a chat together about the story. Fun! Most importantly, the children really enjoyed the magazine. It’s good fun, has great toys and is full of exciting pictures and stickers. They conpleted the magazine cover to cover…sure sign that they loved it! It’s also a wonderful activity to sit down and complete with your children, spending quality time together learning and having fun. Initially thought this magazine to be expensive but when you consider what is included it is quite good value for money. Absolutely, I think it’s great value. 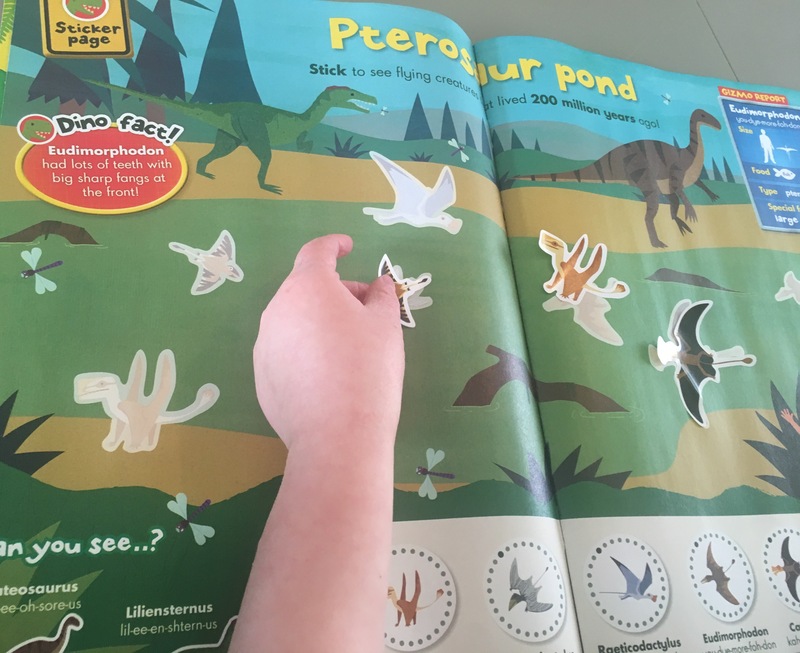 Really educational and fun, keeps kids engaged in a beneficial activity for ages too! 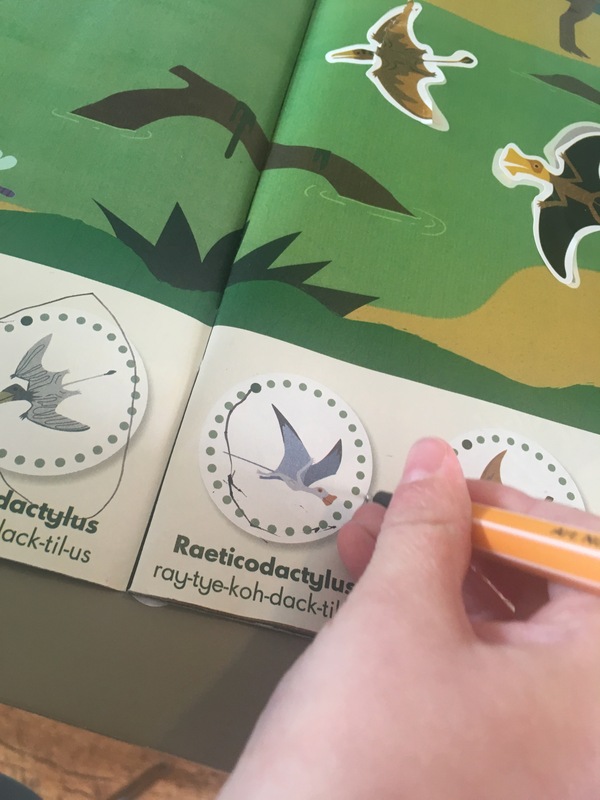 Delighted with the phonetic spelling of the dinosaur names. What a great magazine.